Can Insights Slow or Prevent Premature Aging? 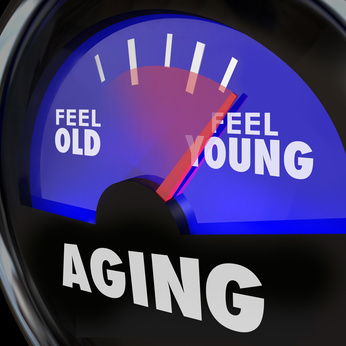 Adults can experience very different rates of aging, setting the stage for either premature or delayed aging. Recently published research focused on the rate of aging among young adults in New Zealand. Investigators measured changes in 18 different biological markers related to immune health, cardiovascular health, gum health, lung, kidney and brain functioning, metabolism and physical fitness, among others. By the age of 38, approximately 24 percent of participants aged faster than average and about 30 percent experienced significantly slower aging. Individuals who aged faster also perceived themselves to be in poorer health than peers. In other words, people who were aging faster physiologically and metabolically, recognized they had a problem. Are you aging fast or aging slow? Put another way, do you consider yourself to be in excellent health, poor health or somewhere in between? If you see yourself less than optimally healthy, and have not been able to reduce stress, lose weight, eat healthier or be more physically active, then you may be aging prematurely. Your insights, a starting point to slow the aging process? Perceptions represent ideas, and those can be changed. In this light, shifting negative thoughts about health and well-being become a starting point for changing unhealthy habits. Let insights help you break free of old ways of doing things that no longer serve you – and make healthier choices. Not only can you begin to reduce stress, eat better, exercise more, and manage your weight, using insights you can also elevate your mood, energy level and self-esteem. Look through the lens of the Wellness Blossom and explore the physical (body), mental (belief, thought patterns), spiritual (the bigger perspective) and emotional (feelings) dimensions of your unique life for a fresh awareness that may have eluded you. Imagine standing at the center of this beautiful flower. The center of this flower represents your freedom from old, non-supportive habits. Looking outward from your center, can you see yourself surrounded by an array of glowing, colorful petals? Which petal will you explore first, to open the door to seeing and living your life in a new way? What is the impact of stress on the brain? Short answer: Stress has a major negative impact on brain health. There is good news: Stress management is one of your most important strategies to reduce the odds of premature brain aging. We are not talking about the immediate response to a stressor, such as a car swerving into your lane, or running a stop light. The immediate adrenal rush triggers sweaty palms, a rapid heart rate, nervousness and a queasy stomach. Symptoms like these tend to go away after the crisis disappears. No harm done. With chronic stress, you keep the stress response turned on. Imagine experiencing stage fright day after day - not good! Chronic stress nibbles away at your energy and health, robbing you of energy and optimism. How can you tell if you have chronic stress? 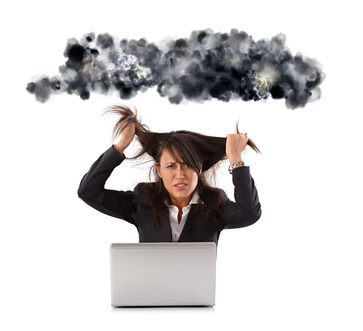 At the end of the day, are you too frazzled for self-care practices? Do you end up telling yourself: “I’m too tired to meditate,” or “I don’t have enough time to exercise?” Do you head to the fridge for a snack, instead of going for a walk? Does an old worry keep you awake at night? Perhaps it's a money problem. According to the latest stress survey by the American Psychological Association, money is the number one stressor among working adults. Chronic stress shrinks the brain. Whatever the cause, chronic stress alters nerve center connections, leading to decreased memory and thinking (cognitive impairment.) And that’s not all: Chronic stress also increases your risk of heart disease, diabetes, hypertension, and some forms of cancer. Too much stress alters nerve growth and repair, and changes connections between different brain centers. As an example, we know that overproduction of stress hormones, such as cortisol, can alter fragile connections between the hippocampus, which regulates memory and emotions, and the prefrontal cortex, which is responsible for wisdom and judgment. The brain does not stop developing after childhood. Research in animals and humans suggests that brain structure can change and adapt throughout the lifespan (a phenomenon called neuroplasticity). It is not clear which brain mechanisms can be repaired. However, neuroscientists recommend as a baseline at least two approaches that may promote neuroplasticity and a stronger brain: regular physical exercise and effective stress management. So it’s not too late to nurture your brain! • Does your physical activity program incorporate regular flexibility, strength and endurance? If not, what one step can you take this week to take it up a notch? • Are your stress relief strategies robust enough (deep breathing, mindfulness meditation, yoga, prayer, service, etc.) to reverse chronic stress? Commitment to these practices will, over time, help keep your brain at peak performance. Please remember that perhaps as much as 50% of premature brain aging is under your control. Aging Well: Do You Have a Road Map that Works? My husband Bob has an extensive career as a PhD biomedical researcher, educator and board certified nutritionist. Intrigued by his new project linking nutrition, stress and lifestyle change to healthy aging, I suggested he contribute to this blog. It’s easy to find men and women in their 70’s, 80’s, 90’s and older, whose lives serve as role models. The Canadian athlete, Olga Kotelko, passed away last year at the age of 95. An elite track and field star, she earned a huge collection of gold medals…after the age of 77. The dancer Carmen De Lavallade, who is almost 84, is currently performing solo. Her performance, “As I Remember It”, features excerpts from her decades-long career. Invariably each has evolved an individual lifestyle that reflects personal choices. As an example, a colleague mentioned that he had just ordered a radar detector as a birthday gift for his 81 year old mother. I learned that she regularly drives to a gym and rehearsals for a musical, as well as helping elderly neighbors with their shopping. Impressive! What will be your “secret” to staying mentally sharp, active and healthy? We need to combine two different approaches: the selective use of the healthy aging data base, together with insights and creative problem solving, i.e. the F.I.C.A Formula: Facts + Insights = Choices + Actions. As valued clients, friends and colleagues who have supported our work, I want to provide you with a ‘sneak peek’ of a new project which combines the F.I.C.A Formula and flows naturally from the 3rd edition of my Encyclopedia of Nutrition and Good Health [Facts on File, NY, Spring 2015]. It is also a natural fit with Patricia’s work. Many of her clients have requested guidance in achieving personalized nutrition and lifestyle ideas to maximize their full health potential and manage aging successfully. • Answer your questions about how to stay mentally sharp. • Help you manage stress and pesky energy drains that slow you down. • Alert you to the potential benefits of breakthroughs in neuroscience. • Provide you with easy-to-understand explanations of current concepts and controversies. • Layout the pros and cons of “anti-aging” advice and popular “brain health” strategies. Plus a featured highlight: I will share Insights on “What Works for Me.” These are steps I take, along with recommendations that I would suggest to my family. 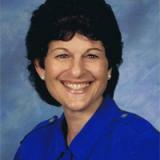 I believe that you can find holistic answers for a healthy lifestyle that works for you. I am convinced that insight-based stress management solutions can empower you to prevent premature aging. And I know that your insightful choices for a healthy lifestyle will help you for decades. I will elaborate on the above ideas via this blog and other highly useful formats. Patricia and I will keep you posted on new developments! I welcome your comments on these blog posts. P.S. Coming next: Stress and the Aging Brain!